You could get in, into the bubbles, but also, a whole world could be into a bubble. It seemed that the floating bubbles were directed toward them…. 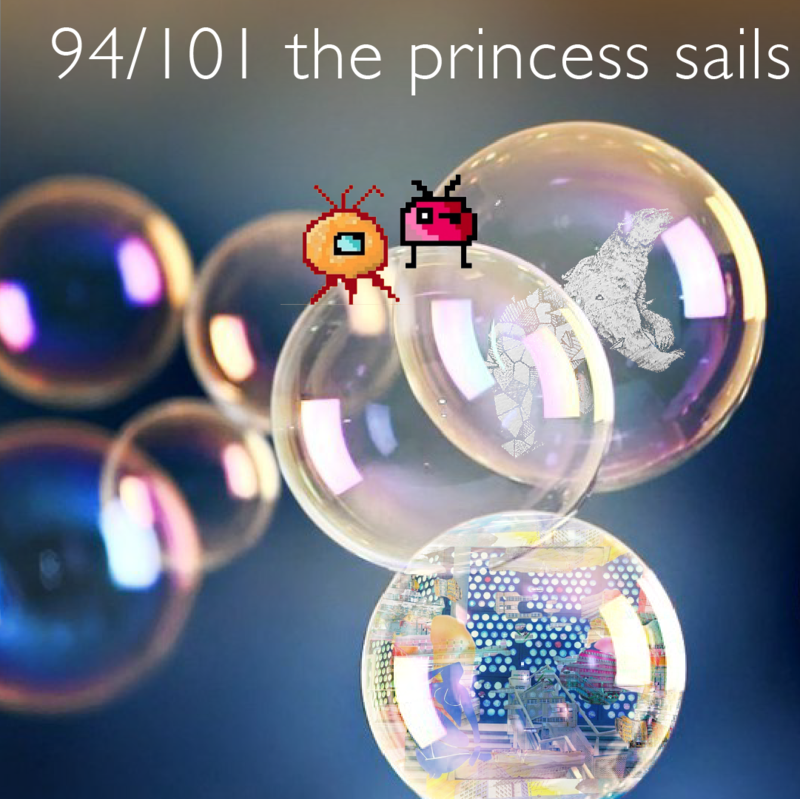 ← 94.b / 101 In the bubble!